Health professionals use imaging devices and systems for a variety of medical purposes. A validated and recommended approach used by some foot doctors is to use imaging systems to more accurately evaluate and measure postural and biomechanical problems. The visual nature of this technology allows patients to more easily understand the mechanics behind their condition and its impact on their posture. Postural imaging is a measurement tool that helps with the diagnostic process by providing objective data in real time. The technology allows the doctor to produce coloured topographies of the musculoskeletal system. The results help the DPM determine if the body’s alignment is optimal by observing postural changes on the surface of the skin. WHAT PAINS CAN ARISE FROM INADEQUATE POSTURE? Pain can be caused by poor workplace ergonomics, trauma, injury, hereditary factors, or a new physical activity that changes a person’s posture. People with these problems often experience daily pain. By consulting a DPM and following a customized treatment plan that is designed to consider all other treatments being provided by other professional caregivers, patients can regain a significantly higher quality of life. WHAT INFORMATION DOES POSTURAL IMAGING REVEAL? Postural imaging provides validation of the physical examination in addition to providing further information that may not be visible to the naked eye. The technology also allows the DPM to clearly see the interaction between different parts of the body. Developed by Cryos Technologies, the CryoVizion imaging system is a tool used by postural health professionals for postural analysis. The system is known for the accuracy, reliability, and quality of the information provided. IS THE CRYOVIZION IMAGING SYSTEM EFFECTIVE? The CryoVizion imaging system has been gathering clinical data for nearly 20 years. Further to this, the effectiveness of CryoVizion has been scientifically validated by researchers at l’Université de Montréal because of the quality of the information it provides during postural analysis. The first step is to enter the observation booth where cameras capture the reflection of light projected over the entire body. The imaging system then renders the results with the help of highly detailed images. The DPM analyzes the images in the presence of the patient, in order to help the patient better understand their condition. WHAT ARE THE ADVANTAGES OF IMAGING? Imaging is frequently used because of its accuracy and the fact that it provides highly objective results. Furthermore, since the process emits no radiation, and thanks to its reflection system, this postural evaluation technology is completely safe. 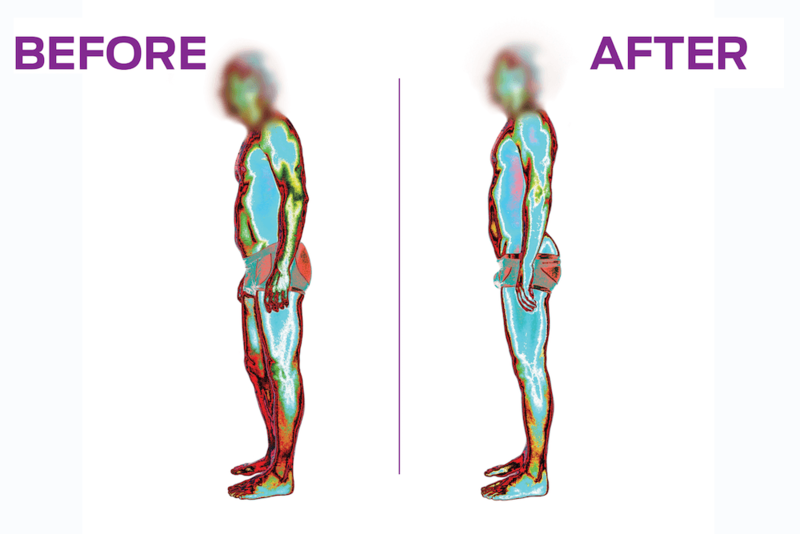 Imaging also provides instantaneous results, speeding up the posture analysis process for the doctor. Since the patient sees the images, they more quickly and fully understand the changes in their posture. Imaging is tremendously beneficial for those who are interested in seeing the evolution of their treatment and benefit from observing their postural change in real time. WHY ANALYZE THE FEET DURING A POSTURAL EVALUATION? The feet are the base of the body. To achieve a thorough diagnosis, the examination of the feet must be included in postural evaluations. The feet are either causative or reactive, which means they are either the source of a postural problem, or have adapted to accommodate the problem. The information provided by the examination will help identify the postural problem, and the possible treatments available. WHY CONSULT A DPM IN THE CASE OF POSTURE-RELATED PAIN? The DPM establishes a treatment plan to alleviate the pain caused by a postural or biomechanical anomaly. When an illness persists, DPMs are often called upon to contribute to the treatment prescribed by other health professionals. Their expertise and treatment plan complements other efforts to help maximize results and healing. Conversely, if deemed necessary, the DPM will recommend that their patients consult a physiotherapist, an osteopath, a chiropractor, a massage therapist, or another professional. The primary objective is to treat the problems at the source, while at the same time improving the quality of life of patients. In 1996, Dr. Philippe Legaré graduated from Pennsylvania College of Podiatric Medicine (Temple University) as a DPM, following which he opened his clinic in Trois-Rivières. Passionate about his profession, Dr. Legaré is continually educating and improving himself through specialized training in manual therapies that include posturology, biomechanical improvement, and running gait analysis. 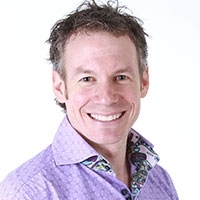 Finally, Dr. Legaré is passionate about everything that involves running and has participated in several half marathons and marathons as well as the 2014 Ironman 70.3 at Mont-Tremblant. It would be a pleasure for him to share with you the vast knowledge and expertise he’s developed in the field.